Apart from its remarkable engagement in social-tech projects, IPKO Foundation continues to financially support students who show their ability of becoming part of the next generation of young leaders with a digital vision for Kosovo. IPKO Foundation is delighted to offer 11 scholarships to 11 young girls who are attending classes in two courses offered in BONEVET. 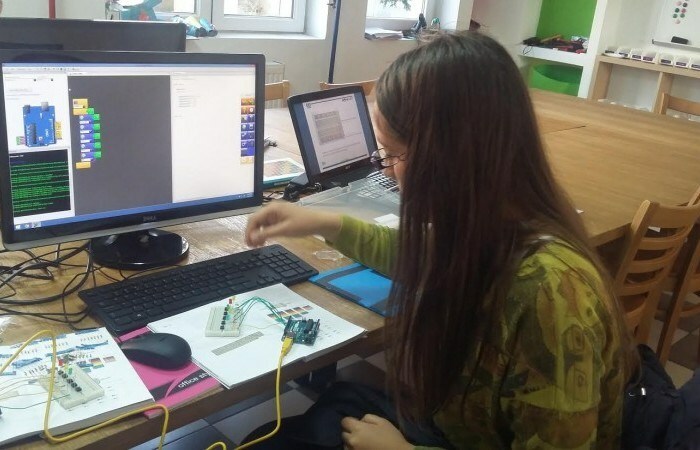 As part of these courses’ curriculum, these girls are learning on ways of building circuits, on the intensity of light, direction of movements, signal transmission, incoming and outgoing signals, free-conductor signal, building models, as well as on building projects through different means. Apart from this, the other course offers these young girls a chance to learn more on sensors, resistors, LED lights, transistors, diodes, circuits, connecting the device to the program, as well as various projects and tasks associated with the aforementioned subjects. Education is certainly the most powerful means of making a positive influence on the society. IPKO Foundation calls for other organizations to take similar steps to promote technology and offer educational opportunities to our younger and brighter generations. An investment in knowledge always pays the best interest. May this continuation of investment in youth be reflected in the near future!